A few weeks ago, I dusted off the camera crane for an editorial shoot. 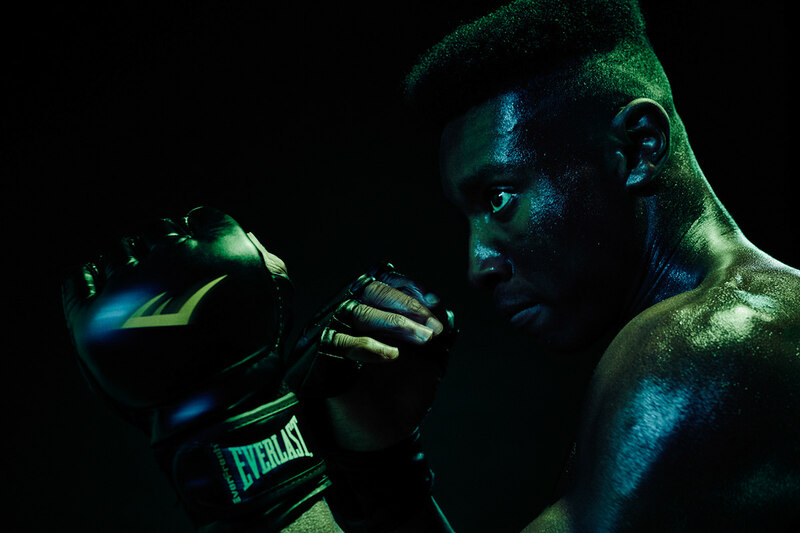 It reminded me how much I enjoy working with the crane, so I decided to shoot some athletes with it and test some lighting techniques. 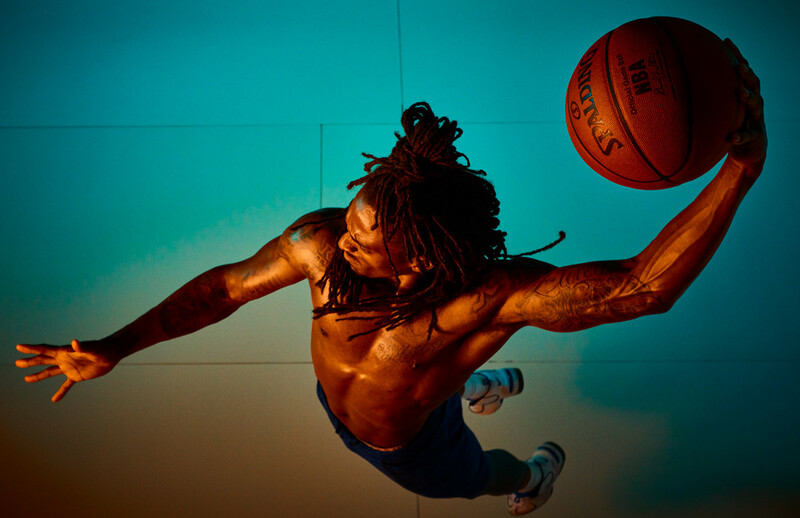 I collaborated with basketball, soccer, running, training and tennis athletes. These days, production is pushed SO HARD. Whether it's about budgets, or deadlines, or likely both, the photographer MUST produce in record time. Which is why testing has become even more important. This is what happens when I'm given the time to develop an idea, time to work with the talent, try different positions, camera angles, lighting techniques. OPTIONS. 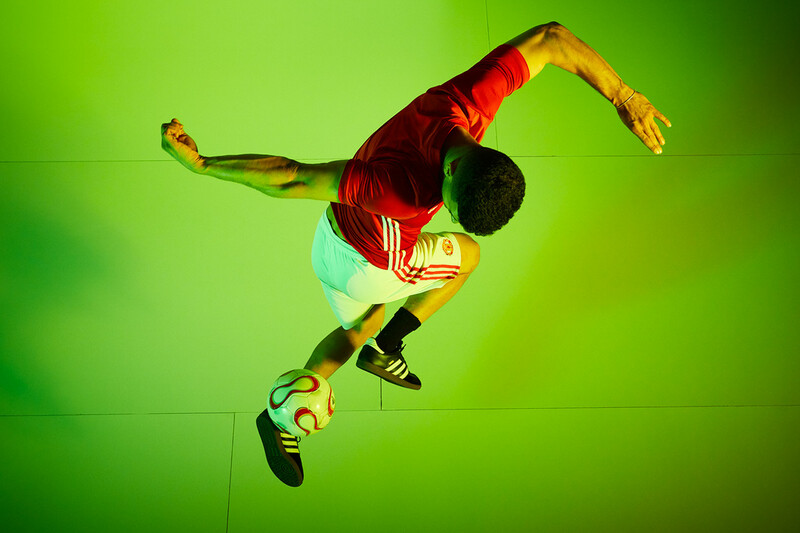 Testing and portfolio shoots are becoming more important than ever. Not just to add to the book, or to have assets to feed to the hungry social machine. No. Testing is important for the development of ideas, for the refinement of skills, for my sanity. 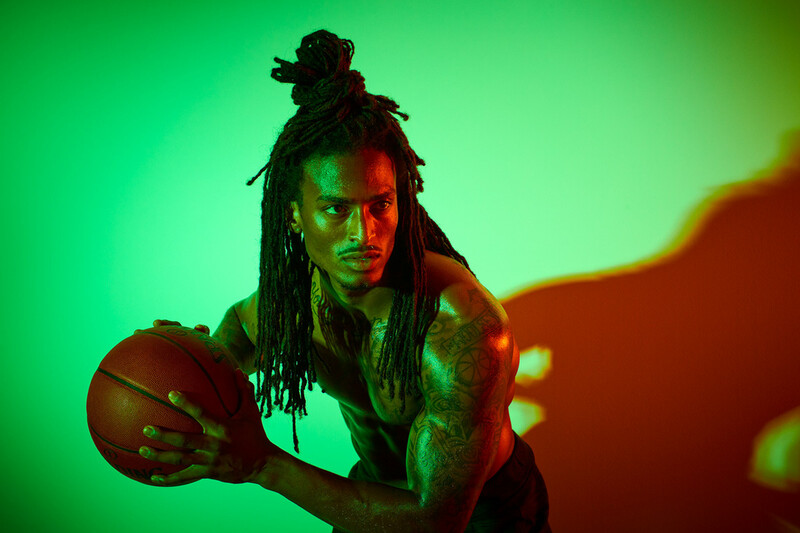 Many thanks to the talented sports and fitness models that came to work with me. Saif Alrikabi, David Kojo Aidoo, Jenny Meeker, Sonachi Umeh and Xavier Taylor. We featured wardrobe from adidas, Nike and Under Armour. 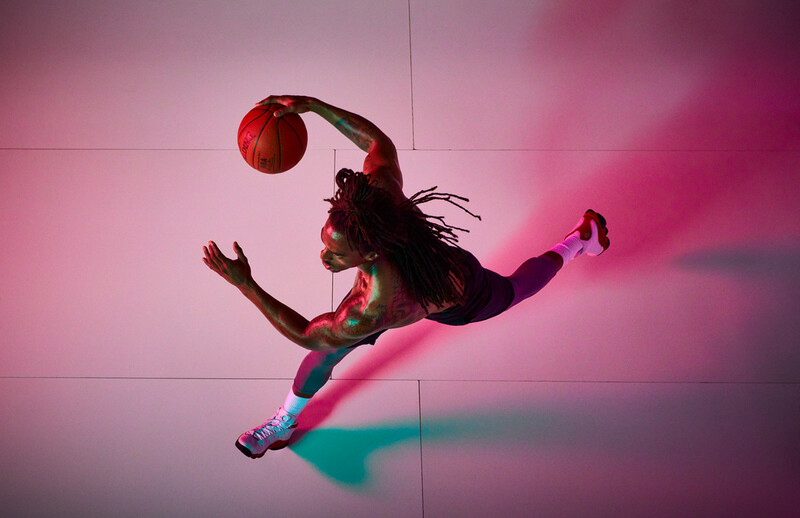 alternate angle and color: dramatic sport and people photographer Andy Batt captured this incredible shot of Xavier Taylor with a camera crane - This basketball player is about to slam the ball into the net. 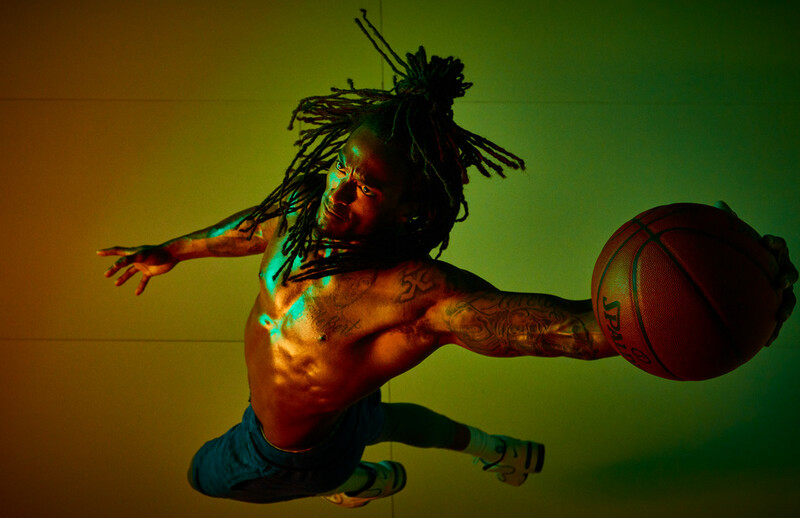 dramatic sport and people photographer Andy Batt captured this incredible shot of Xavier Taylor with a camera crane - This basketball player is about to slam that ball. 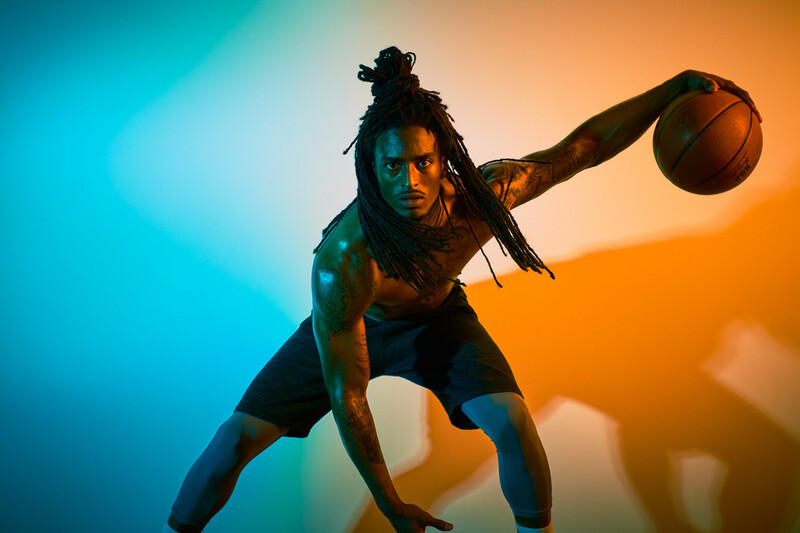 Running the ball, basketball athlete Xavier Taylor is photographed by professional sport photographer Andy Batt at his studio in Portland Oregon. SLAM! 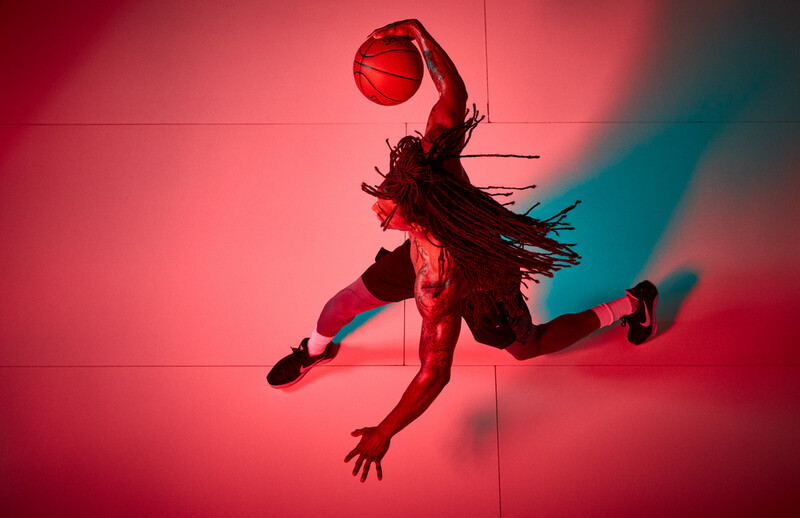 basketball athlete Xavier Taylor is about to score, and professional sport and lifestyle photographer Andy Batt is capturing the dramatic action from a camera crane high about the scene. 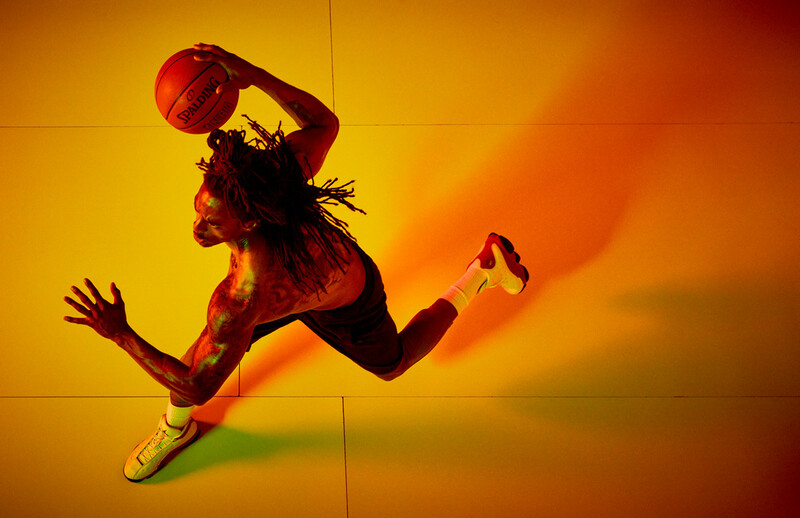 alternate colorway, basketball athlete Xavier Taylor runs the ball while dramatic sport and fitness photographer Andy Batt captures the action from a camera crane. 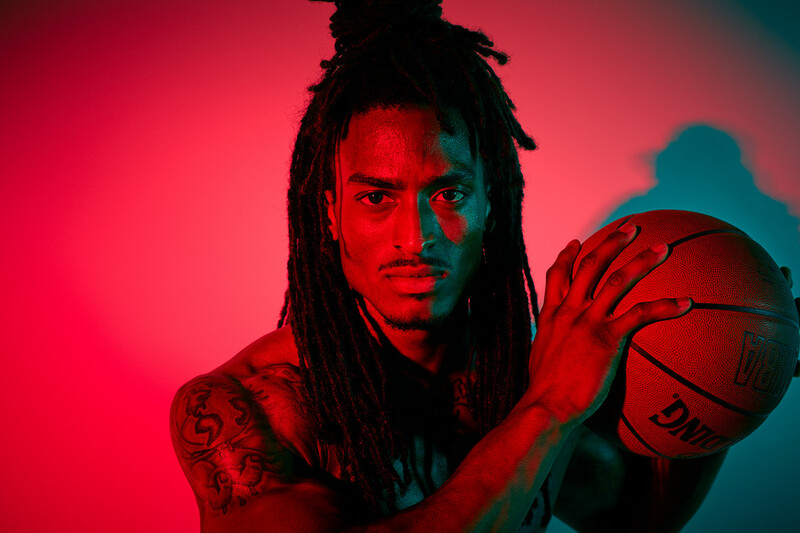 up close and personal with basketball athlete Xavier Taylor of Sports and Lifestyle Unlimited. 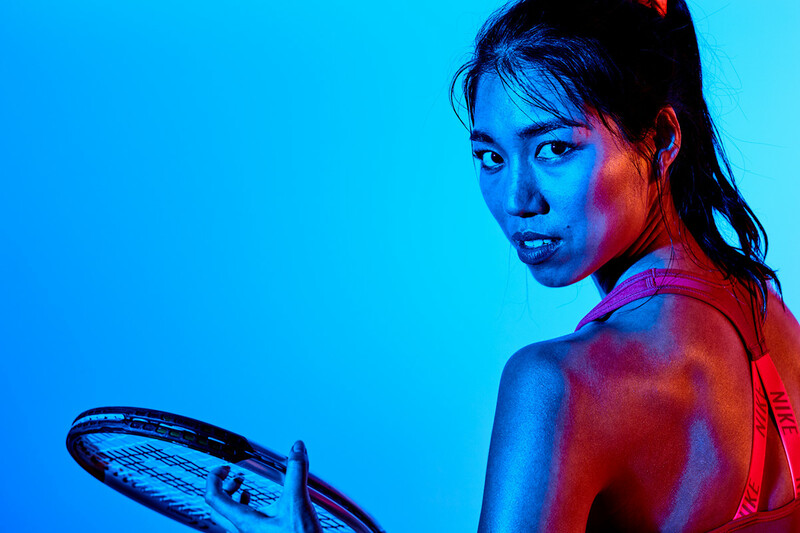 This intimate sport portrait was created by dramatic fitness photographer Andy Batt. 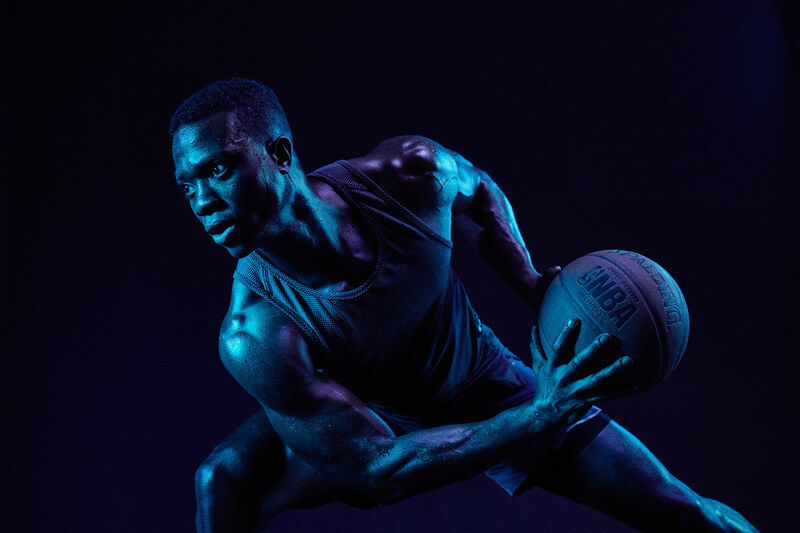 basketball athlete Xavier Taylor dribbles the ball faster and faster while dramatic sport and fitness photographer Andy Batt captures the action in his studio in Portland Oregon. 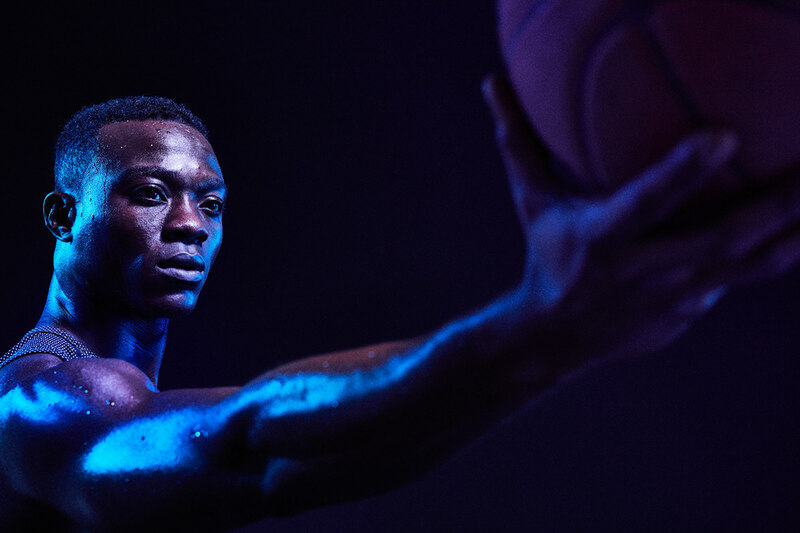 This intense sport portrait of basketball athlete Xavier Taylor was created by dramatic photographer Andy Batt in his studio in Portland Oregon. 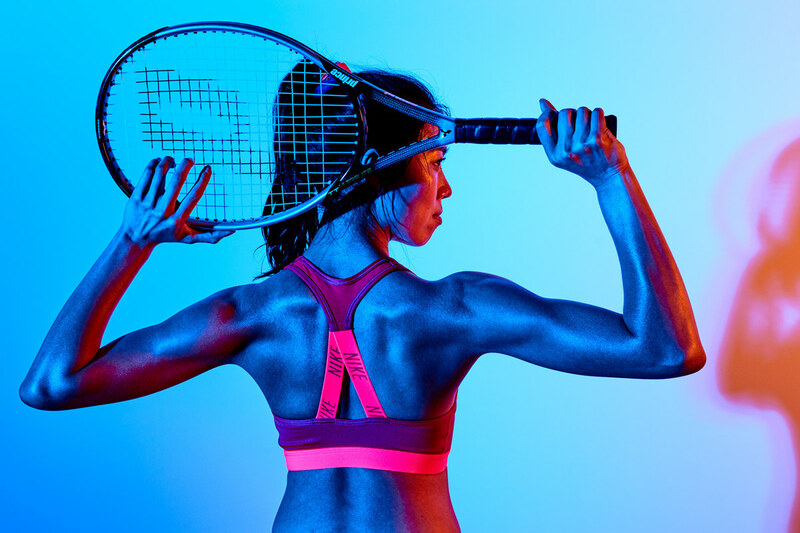 Dramatic sport portrait photographer Andy Batt created this stunning image of Jenny Meeker while testing lighting techniques in his studio in Portland Oregon. 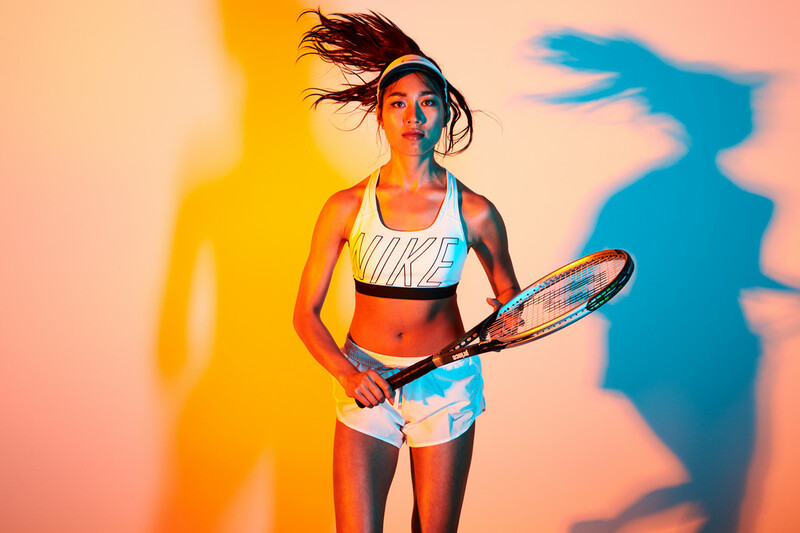 The team worked with apparel from Nike. 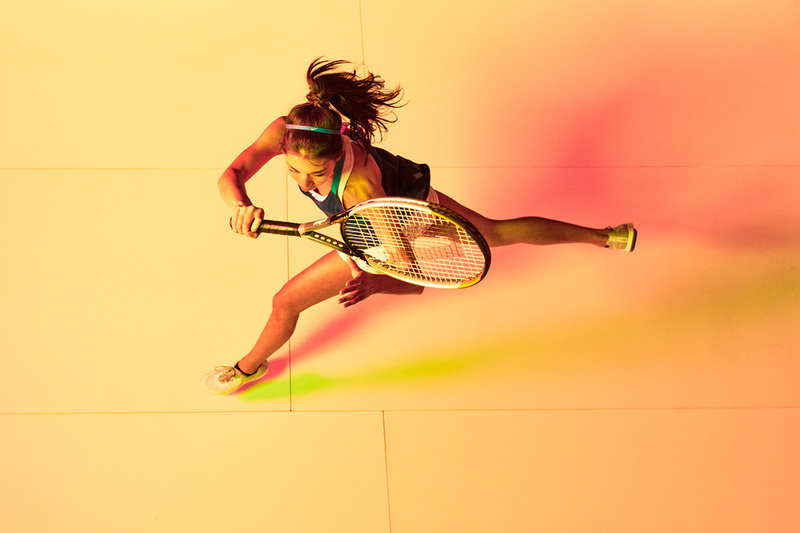 dramatic sport photographer Andy Batt used a camera crane to capture this unique angle of athletic model Jenny Meeker of Option Models and Media in his studio in Portland, Oregon. Alternate angle: dramatic sport photographer Andy Batt used a camera crane to capture this unique angle of athletic model Jenny Meeker of Option Models and Media in his studio in Portland, Oregon. 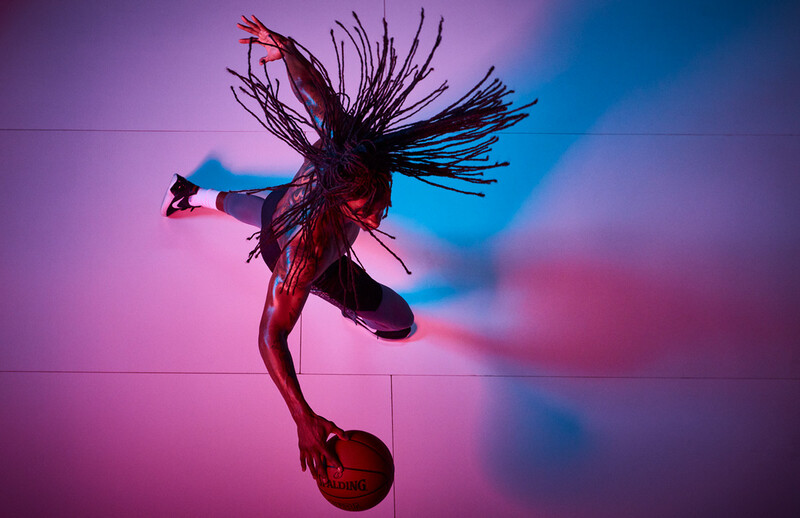 Alternate angle by Dramatic sport portrait photographer Andy Batt created this stunning image of Jenny Meeker while testing lighting techniques in his studio in Portland Oregon. The team worked with apparel from Nike. using alternate colored gels, dramatic sport photographer Andy Batt used a camera crane to capture this unique angle of athletic model Jenny Meeker of Option Models and Media in his studio in Portland, Oregon. 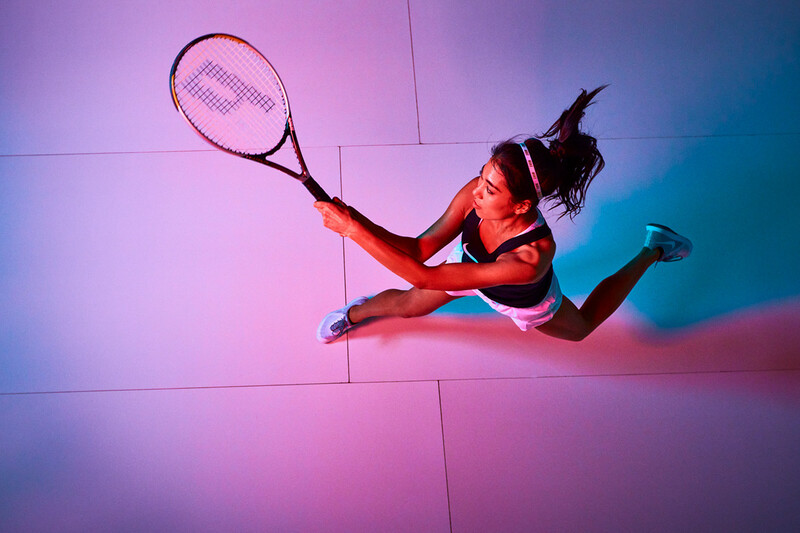 Professional sport athlete Jenny Meeker, of Option Models and Media was an amazing talent on set as she practiced her tennis techniques for dramatic sport photographer Andy Batt captured the action in his studio in Portland Oregon. 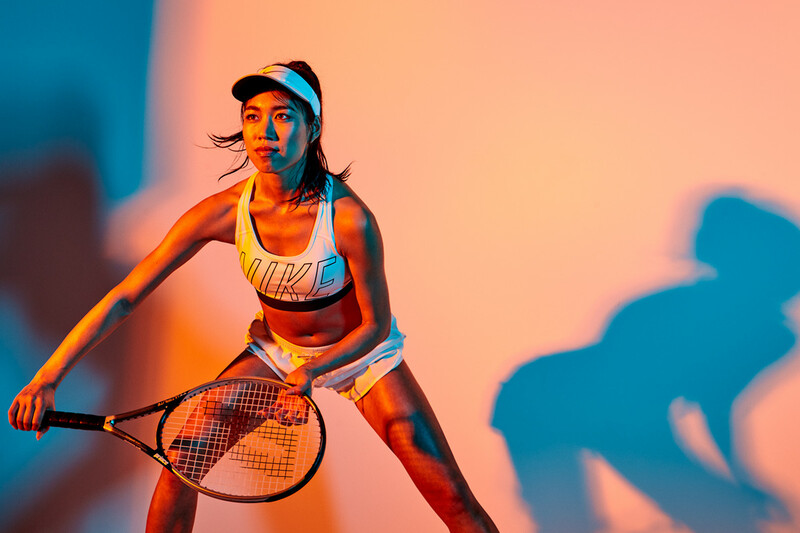 The colored shadows bring this active photograph of professional tennis athlete Jenny Meeker to life by dramatic sport photographer Andy Batt in his studio in Portland Oregon. 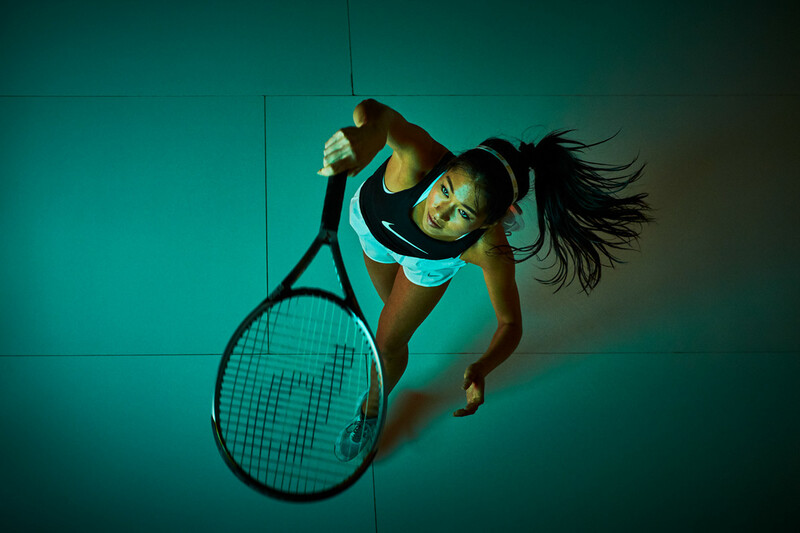 professional sport and lifestyle photographer Andy Batt stopped the action while tennis athlete Jenny Meeker practiced her tennis serve. 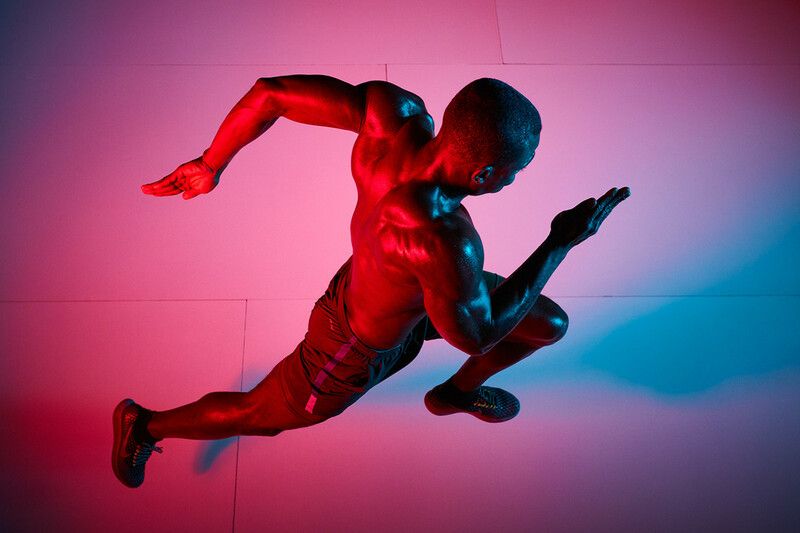 Running and training never looked so good with David Kojo Aidoo. 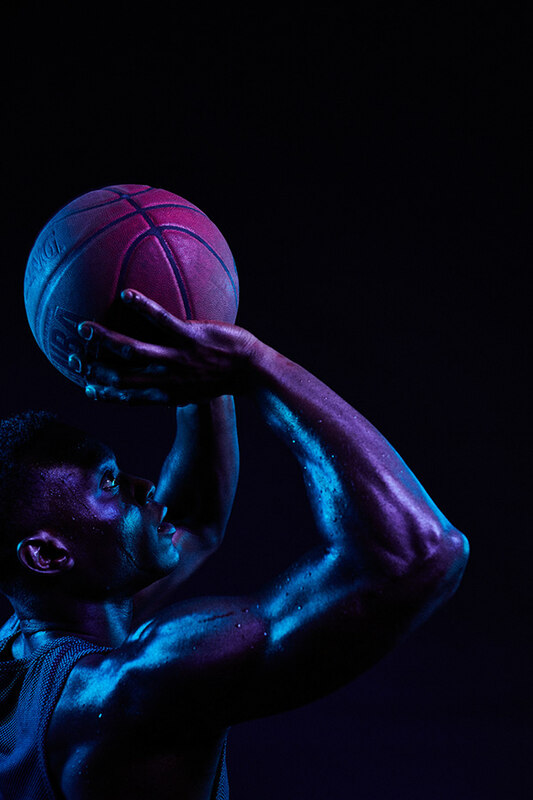 Professional sport and athletic photographer Andy Batt works with unexpected angles and dramatic, colorful lighting for this series of engaging fitness photography. 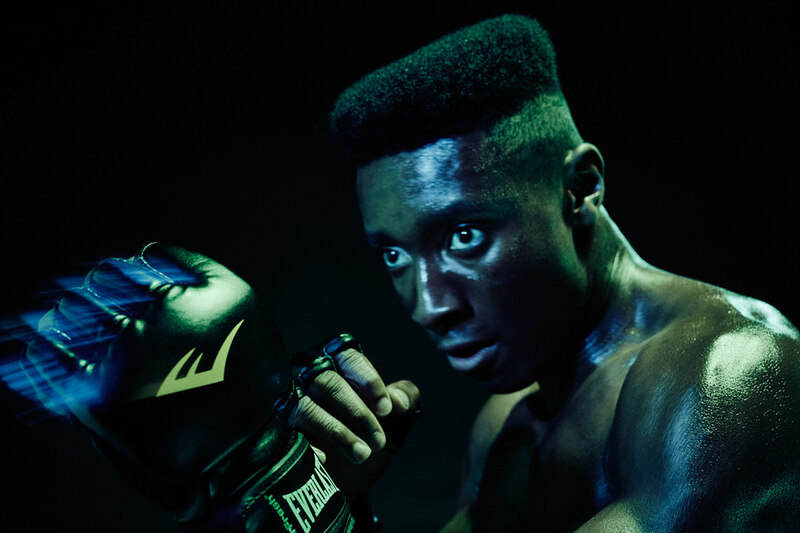 Training never looked so good with David Kojo Aidoo. 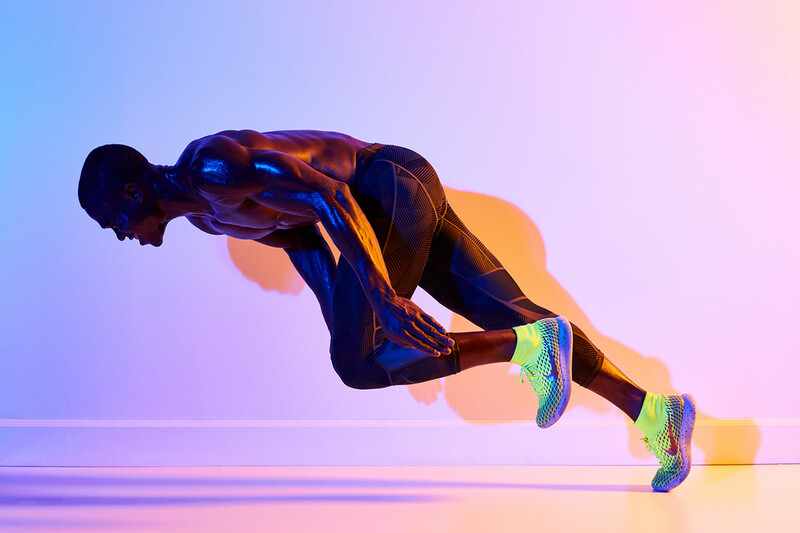 Professional sport and athletic photographer Andy Batt works with unexpected angles and dramatic, colorful lighting for this series of engaging fitness photography. 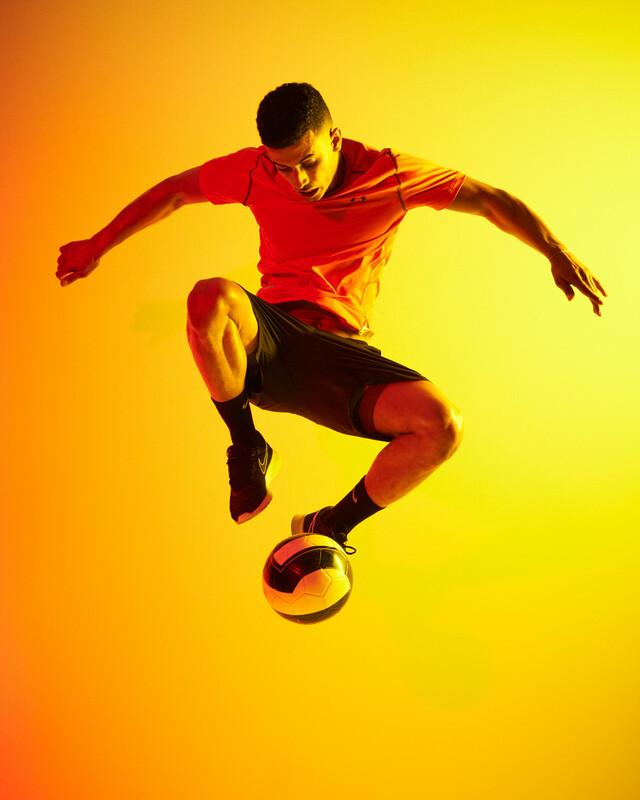 Soccer never looked so good with Saif Alrikabi. 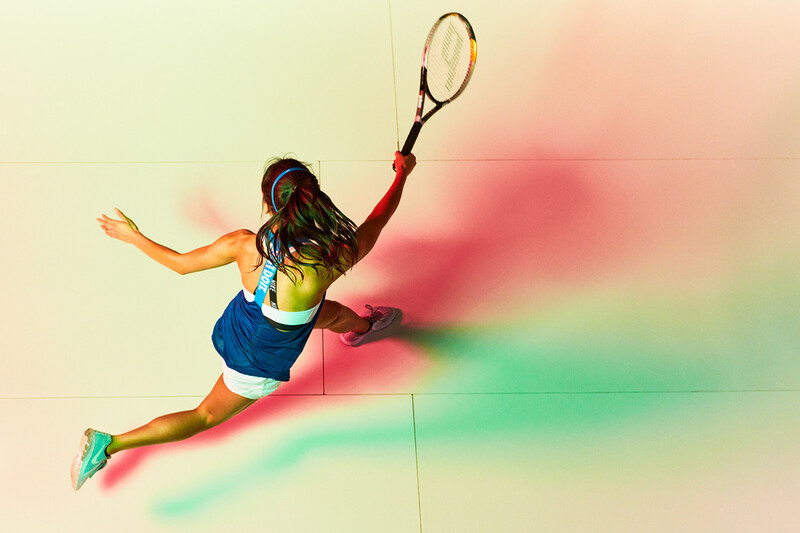 Professional dramatic sport photographer Andy Batt worked with unique angles and colorful lighting to create these captivating and unique images. 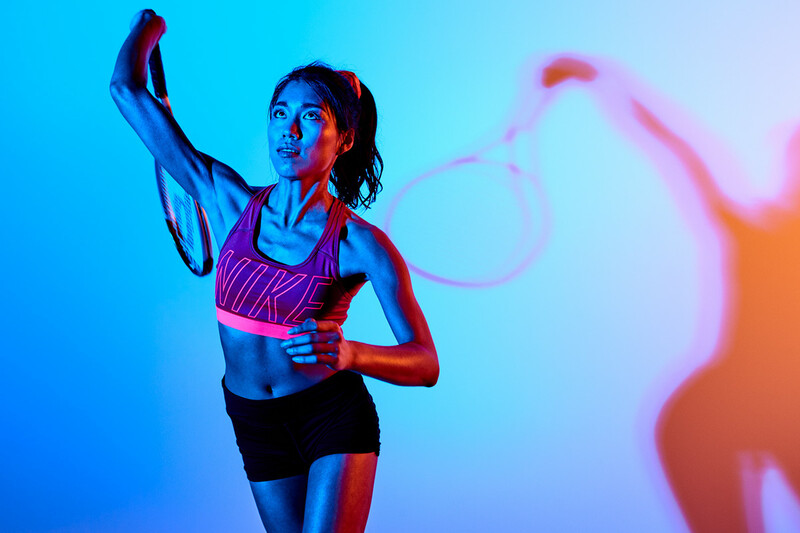 photographing fitness athletes and testing lighting techniques with gels. 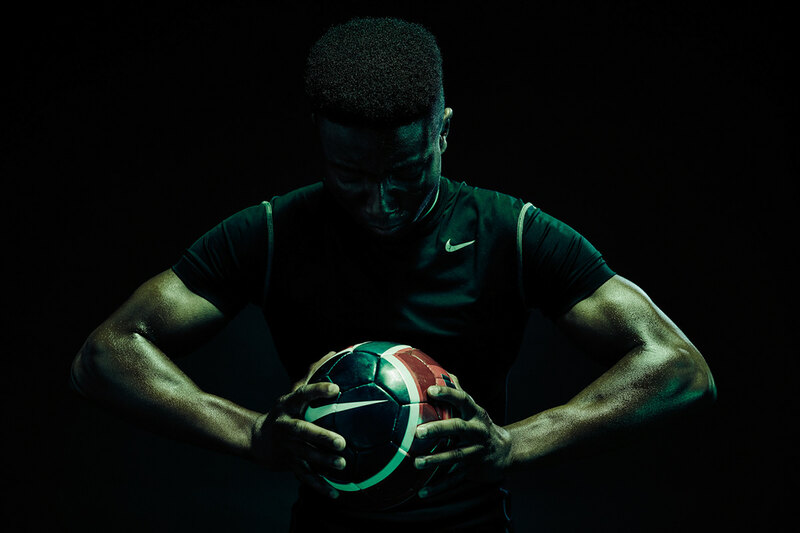 I collaborated with basketball, soccer, running, training and tennis athletes and featured Nike, adidas and Under Armour brands.